Shown in 14K matte yellow gold. 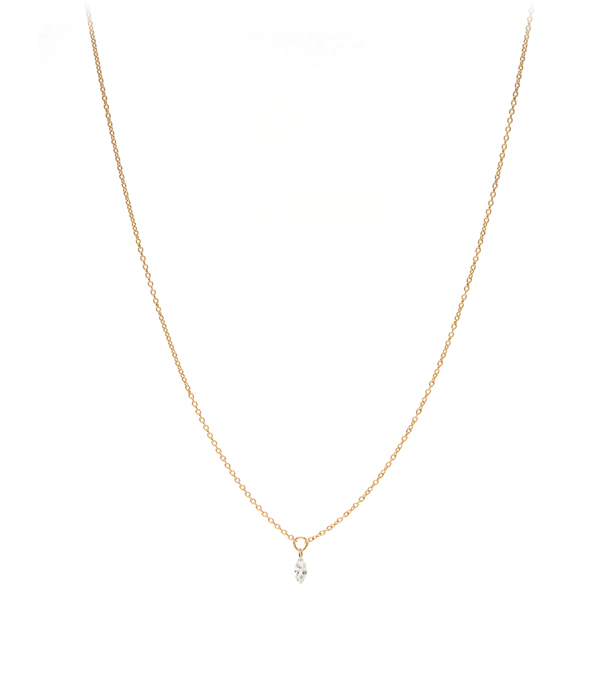 This light and airy diamond necklace has the simplicity and romance of a haiku. The single marquis diamond dances in the light creating the perfect amount of sparkle to brighten any outfit. 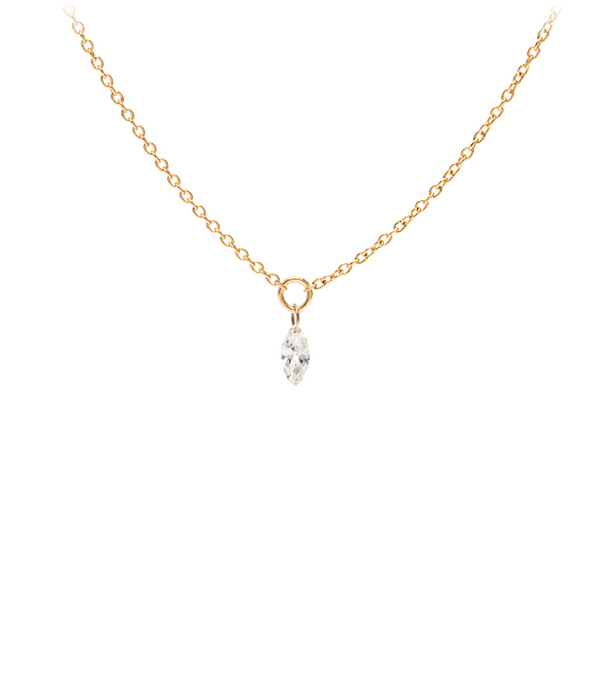 Everything about this petite diamond necklace is pure California bohemian chic. We love this piece on its own, but trust us when we say it is the absolute ideal necklace for layering. We suggest pairing it with any of our drilled diamond necklaces or with the Alethea Dainty Drop Necklace (another perfect layering necklace) from the Sofia Kaman Signature Collection. This dainty diamond necklace features one single 0.15 ct marquis cut drilled diamond and is handcrafted by our artisan jewelers in Los Angeles.